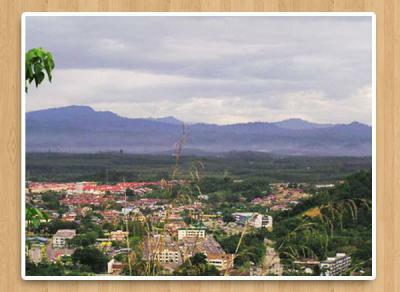 Get to the top of Bukit Istana to have panorama view of Jerantut town from the view point. 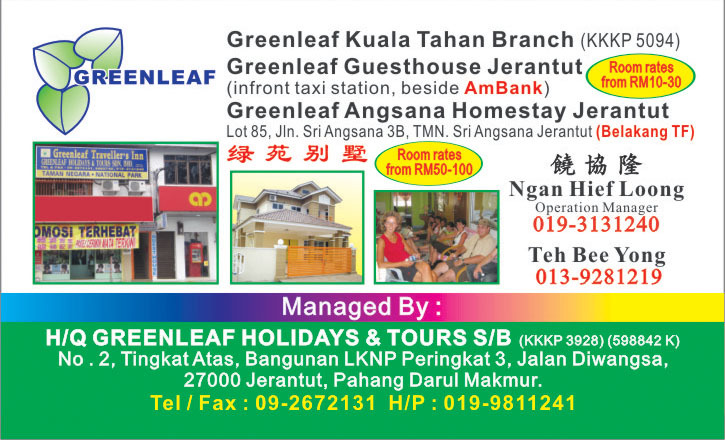 It just 10 minutes drive from Jerantut town. A recreation park which just located at the Bukit Istana. There was a simple jungle trekking trail where local people use to jogging everyday. 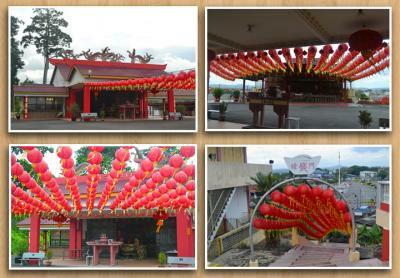 A Chinese temple where just located nearby Jerantut train station. It just takes 2 minutes walk from the train station. 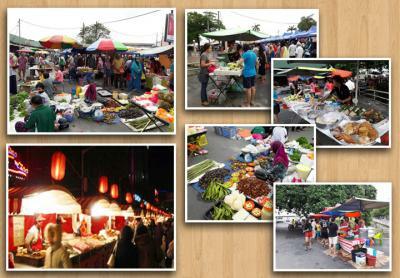 Every Saturday night, there was a night market at Pasar Besar Jerantut. Just taste the local food and snack over there. A scenic waterfall, 18 holes golf course and a series of rapids hidden from public sights. 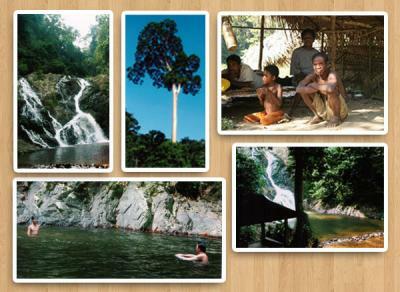 It’s just 15km west from Jerantut town. 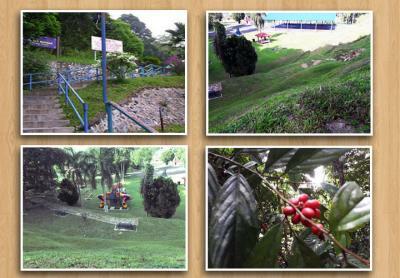 There was a golf course and recreation park, just a stone throw away from waterfall. 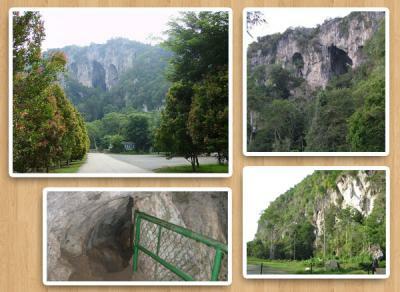 The Gunung Senyum Caves consist of at least 20 caves, which are fascinating to explore. 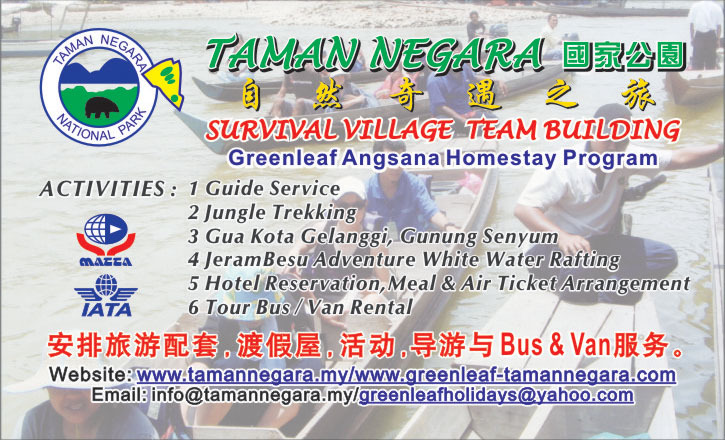 Which cave exploration and camping in the shade of the topical foliage are common activities, scientific research is also gaining in popularity among students and scientists. Cave explorers must be prepared for the smell of bats, limestone rocks and the sight of strange creature and insects. Explore this 150 million year old historical and mythical caves complex and witness its unique flora, fauna and its magnificent rock formations which will definitely captivate you. 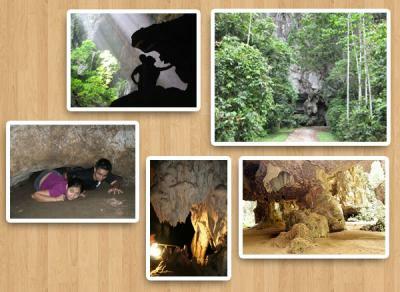 With cave chambers dubbed to be one of the best in this region, Kota Gelanggi Caves offers an inspiring and breathtaking adventure experience. Indulge in the myths behind these caves and explore the wonderful works of nature through beautiful rock formations sculptured by time. Legend has it that these caves were actually ancient ruins of inhabitants who were turned into stones together with their belongings. An old man of the house can be seen here sitting on his chair by his oven or furnace with loaves of bread and his cupboard filler with flour and sugar all turned to stone. Drop by and witness these wonders yourself and experience the beauty of the stalagmites and stalactites as well as the unique and strangely shaped rock formations. All crafted with fitness by the time and nature. 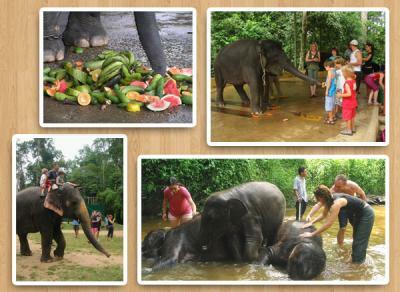 Kuala Gandah Elephant Conservation Centre, or popularly referred as the Elephant Orphanage Sanctuary, is located within the bio diversified-rich and protected Krau Game Reserve & was set up in 1989 under the DWNP (Department of Wildlife & National Parks, Malaysia), manned by the Elephant Capture & Translocation Unit. 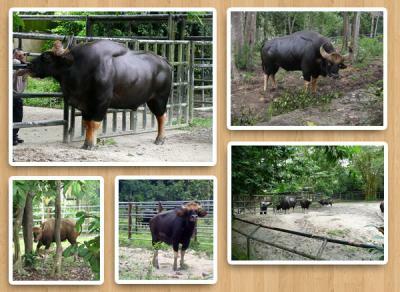 This 50-hectare area in South Jenderak, about 130km from Kuantan, is a sanctuary for the endangered gaur. It is the second largest land mammal after the elephant. Enjoy this rare and thrilling opportunity to stand close to them!